Very comfortable place and very friendly and helpful owner. Perfect for couples and family people. If we back in Ksamil we will definitely use the same one. All in all, a wonderful place. Run by a helpful, kind young couple, Arbe and Angela. They both went out of their way to provide assistance with rides to Butrint, Sarande, info about places to visit and frequent check-ins to see if anything was needed. I had a birthday while staying there and they even surprised me that evening with a birthday cake and candles! 😄 Truly above and beyond level of kindness!The place was squeaky clean and very comfortable with a large balcony, comfortable bed and access to a washing machine near the room. Markets, restaurants and cash machine within a short walk. Highly recommended! Marvelous hoast who went the extra mile on numerous occasions. The building is immaculate I stay in numerous hostels and guest houses each year but I do not write reviews about any of them unless they are exceptionally good or exceptionally bad. This one is exceptionally good. One of the best place in Balkan I've ever been. Very helpfull and hospitable host. When we came to the place he serve us good cofee and took us for a short trip aroud the town to show good restaurasnts, beach and shops. Room was very clean and spacious. A breakfast was absolutely delicious. It is hard to find comparible place. You couldn’t wish for a better hosting experience than this one! Always there when you need anything, great recommendations, nice family atmosphere. The apartment has everything you need. A nice bed, plenty of space and a kitchen with a fridge and a clean bathroom. It’s comfortable, quiet, and central. At breakfast you should definitely try the home baked delicious orange cake from the grandmother!!! :) Highly recommend. 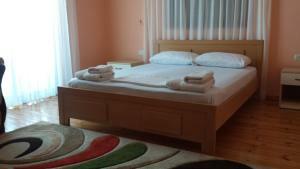 Nice, very clean and spacious room with kitchenette and balcony. Host gave us good recommendations on where to eat and what to see. Lovely people! The room was very clean and the host family made the stay there very pleasant. They were very polite and helpful. I highly recommend this place for a pleasant stay! Lock in a great price for Apartment Vila Danedi – rated 9.6 by recent guests! Apartment Vila Danedi This rating is a reflection of how the property compares to the industry standard when it comes to price, facilities and services available. It's based on a self-evaluation by the property. Use this rating to help choose your stay! 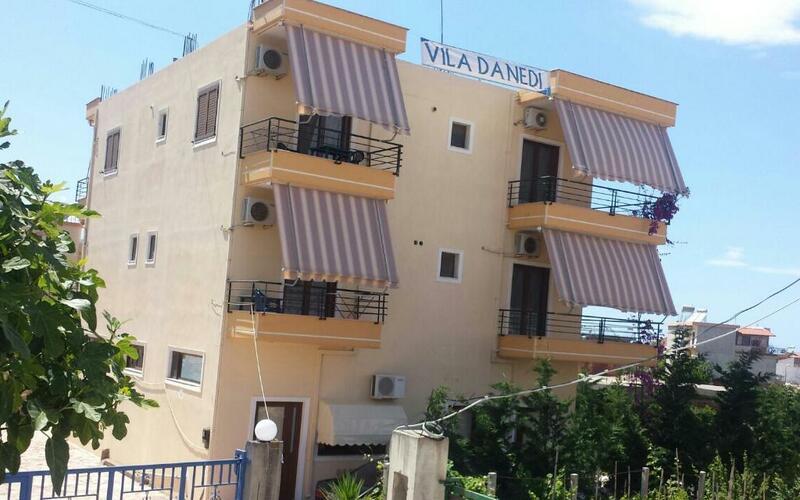 Located in Ksamil, 1.6 miles from Butrint National Park, Apartment Vila Danedi provides accommodations with a garden. Complimentary WiFi is offered. Featuring a terrace, all units include a seating area, a flat-screen TV with cable channels, an equipped kitchen, a dining area, and a private bathroom fiitted with free toiletries. Some units have a balcony and/or patio. 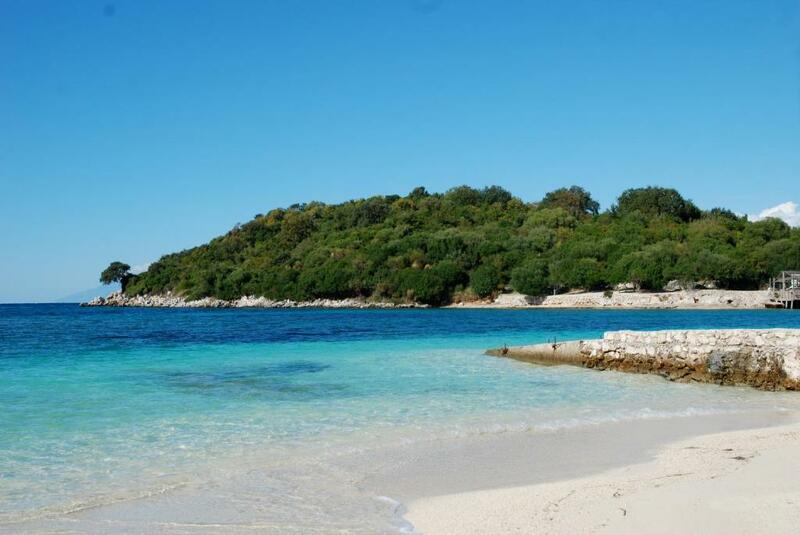 뀐 Located in the top-rated area in Ksamil, this property has an excellent location score of 9.2! When would you like to stay at Apartment Vila Danedi? This apartment features a balcony, view and soundproofing. This suite features a balcony, stovetop and seating area. House Rules Apartment Vila Danedi takes special requests – add in the next step! The access to the roof wasn’t secured. 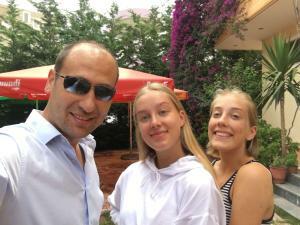 Everything has been over our expectations, we love the place and the fact that it's a family business. The place is not far from the most important Ksamil beaches, it's clean (10+) and very comfortable, we had a large balcony, comfortable beds and access to a washing machine that was near the room. Arber did everything he could do to make us feel like home (we had great restaurant tips from him) and as we promised we will come back next year (even if we don't visit the same place twice). Thank you again Arber ! The appartment is nicely equipped and furnished. It is clean and cosy. We enjoyed also the big terrase with the sea view. The host family is young and very friendly. Clean towels changed regularly. 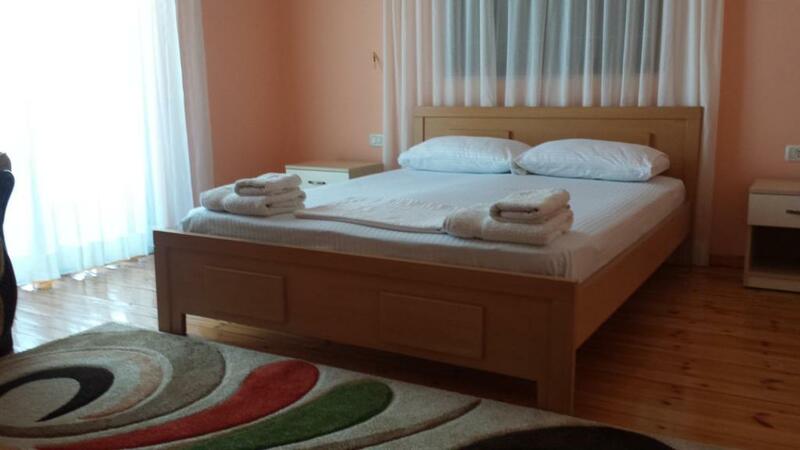 We can recommend this stay to all types of travellers who seek good and clean standard of an accommodation. The only downside was the distance from beach, and the fact that there was an auto body repair shop next door.